WASHINGTON -- NASA will hold a news conference at 1 p.m. EDT on Wednesday, May 4, to discuss the science results and legacy of the Gravity Probe B (GP-B) mission. The event will be in the NASA Headquarters Webb auditorium at 300 E Street SW in Washington. GP-B is a NASA physics mission designed to measure two key predictions of Albert Einstein's general theory of relativity. Einstein predicted that space and time are distorted by the presence of massive objects. The experiment used four ultra-precise gyroscopes to measure the geodetic effect, which is the warping of space and time by a celestial body like Earth, and frame-dragging, which is the amount a spinning object like Earth pulls space and time with it as it rotates. Media may attend the event, join by phone or ask questions from participating NASA centers. To RSVP or obtain dial-in information, media must contact Trent Perrotto at trent.j.perrotto@nasa.gov with their name, media affiliation and telephone number by 5 p.m. on May 3. NASA Television and the agency's website will broadcast the event live. -- Rex Geveden, president Teledyne Brown Engineering, Inc., Huntsville, Ala.
For NASA TV streaming video and downlink information, visit http://www.nasa.gov/ntv. For more information about Gravity Probe B, visit http://www.nasa.gov/mission_pages/gpb and http://einstein.stanford.edu/. NEWPORT NEWS, Va. (NNS) -- USS Theodore Roosevelt (CVN 71) Sailors hosted fifth-grade students from Campostella Elementary for a tour of the ship's Light Industrial Facility (LIFAC) in Newport News, Va., April 27. Campostella is a Norfolk, Va., Science, Technology, Engineering and Mathematics (STEM) school, and the tour provided the Sailors an opportunity to show the students how they use technology to do their jobs. The tour consisted of demonstrations related to Campostella's STEM program. Twenty-four Sailors from TR's Aviation Intermediate Maintenance Department were on hand to explain the technical and scientific correlation of each piece of equipment they use and how they use it to sandblast water-tight doors, engrave signs, build wooden plaques and boxes, and rework motors for shipboard fire main and salt water pumps. "School, at times, can be abstract," said Kristal Moses, Campostella fifth-grade teacher. "Having the children come in to experience the STEM fields applied first hand can put them into the frame of mind to grasp a concept they normally only see in a text book, equation or someone just talks about." One of the nine "stations" on the tour featured welding. Each child donned protective gear that allowed them to safely see the bright arcs that weld two heavy-duty pieces of metal together. "The welding portion of the tour definitely kept everyone engaged since we had to try on the equipment and actually use it to view the demonstration," said Moses. "Such an opportunity helps our students to use their five senses to experience processes which they are not normally familiar with." The students also wore protective gear to view the Sailors welding up close, according to Lt. Richard Martinez, officer in charge of LIFAC. "We ceased production for the day to ensure the safety of everyone visiting, since LIFAC is an industrial environment," said Martinez. "TR's Safety Department visited our facility to give insight on eliminating dangers that could occur during the visit. Everyone was issued PPE to use." Martinez said the opportunity TR afforded Campostella to come to LIFAC benefited both the students and his Sailors. "Our Sailors strived to show how the different STEM fields are applied to the machines they use and services they provide by LIFAC Sailors while accomplishing their jobs," said Martinez. "It was also a great opportunity to have my hardworking Sailors set a positive example and mentor these students to tie up the 'loose ends' of hands on learning." The Sailors drove home the point that the water tight doors close extremely tight and are ultimately designed to keep a ship from sinking. Parent chaperones who visited the facility along with the children appreciated the effort TR invested in Campostella's students. "Opportunities such as this help our children to realize other options for a career," said Delvon Mack, a parent chaperone with Campostella. "The Sailors were able to break down Navy terminology and relate it to changing oil, which the children could grasp." In accordance with the school's wishes, LIFAC Sailors taught the students 10 technological words relating to the STEM fields to include hydraulic, calibration and water tight. Before leaving the facility, every visitor received a commemorative piece of wood shaped in the likeness of TR's flight deck that was stained and engraved with the school's name and the TR emblem. Campostella Elementary is part of many community relations projects TR and its Sailors participate in on a regular basis in the Hampton Roads area to manifest the Navy's motto "A Global Force for Good." Theodore Roosevelt is currently undergoing its scheduled mid-life Refueling Complex Overhaul (RCOH) at Newport News Shipbuilding, a division of Huntington Ingalls Industries. During the 39-month maintenance period, TR's fuel will be replenished and significant upgrades will be made to the ship's combat and communication systems to extend the ship's service life for 25 or more years. All Nimitz-class aircraft carriers go through RCOH near the mid-point of their 50-year life cycle. WASHINGTON -- Late last year, astronomers noticed an asteroid named Scheila had unexpectedly brightened, and it was sporting short-lived plumes. Data from NASA's Swift satellite and Hubble Space Telescope showed these changes likely occurred after Scheila was struck by a much smaller asteroid. During certain parts of their orbits, some objects, once categorized as asteroids, clearly develop comet-like features that can last for many months. Others display much shorter outbursts. Icy materials may be exposed occasionally, either by internal geological processes or by an external one, such as an impact. NASA's Goddard Space Flight Center in Greenbelt, Md., manages Hubble and Swift. Hubble was built and is operated in partnership with the European Space Agency. Science operations for both missions include contributions from many national and international partners. For more information, video and images associated with this release, visit http://www.nasa.gov/topics/universe/features/asteroid-collision.html. Teams at NASA Kennedy Space Center’s Launch Pad 39A now expect to begin moving the rotating service structure away from space shuttle Endeavour at 11:45 p.m. EDT, which still would support a launch attempt tomorrow at 3:47 p.m. EDT. Preparations to move the RSS will begin immediately following the end of the Phase II lightning warning, which is expect to be lifted at approximately 10:15 p.m. Preliminary data indicates no lightning strikes within half a mile of the pad and no obvious damage to the pad or spacecraft. Launch team members are closely monitoring weather conditions at NASA Kennedy Space Center's Launch Pad 39A. There are no obvious indications of any damage at this time as thunderstorms pass through the area. Engineers will do a thorough evaluation of data after the storm passes to confirm there were no issues. Teams now are targeting 10 - 10:30 p.m. EDT to begin moving the rotating service structure away from space shuttle Endeavour, weather permitting. If no issues are found during the data review, launch still will be on track for tomorrow at 3:47 p.m. In anticipation of a storm that is predicted to pass over NASA Kennedy Space Center this evening, technicians at Launch Pad 39A will delay the opening of the rotating service structure (RSS) away from space shuttle Endeavour until approximately 8:30 p.m. EDT. Teams currently have begun support work that normally occurs following the RSS move, which allows the countdown to continue as planned to support Friday's 3:47 p.m. launch. 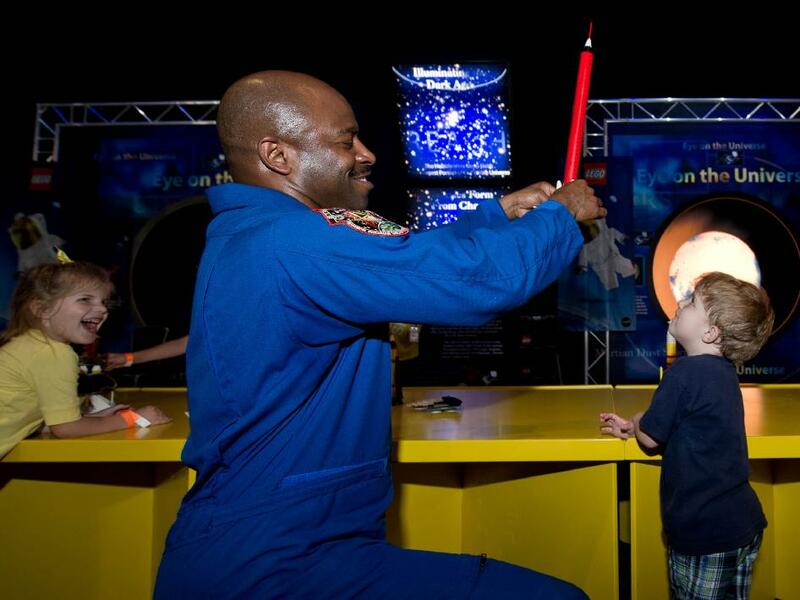 NASA Associate Administrator for Education and astronaut Leland Melvin, center, blasts off a rocket for young participants at a 'Build the Future' event sponsored by LEGO at the Kennedy Space Center Visitor's Complex, Wednesday, April 27, 2011, in Cape Canaveral, Fla.
Preparations for space shuttle Endeavour's launch are continuing as planned at NASA Kennedy Space Center's Launch Pad 39A. STS-134 Commander Mark Kelly and his crew also are continuing their prelaunch activities. Liftoff to the International Space Station is scheduled for 3:47 p.m. EDT Friday. The weather forecast calls for a 70 percent chance of favorable conditions at launch time, according to Shuttle Weather Officer Kathy Winters. The only concerns for launch may be the crosswinds at the Shuttle Landing Facility and a low cloud ceiling associated with a front moving into Central Florida. The rotating service structure (RSS) is scheduled to be retracted at 7 p.m. today but may be delayed because of possible storm activity over the center. Teams will have about a four-hour leeway for the storms to clear out with no affect on Friday morning's external tank fueling, now planned for 6:22 a.m. The U.S. Fish and Wildlife Service is in the process of performing an aerial survey of yesterday's brush fire, which was southeast of the Turn Basin and about three miles from the launch pad. The brush fire now is fully contained, and the plan is to burn off the remaining fuel within the fire area to help eliminate any smoke on launch day. Kathy Winters is an Air Force Civilian Meteorologist at the 45th Weather Squadron at Cape Canaveral Air Force Station. She is the Space Shuttle Launch Weather Officer providing weather support to the Space Shuttle Program at Kennedy Space Center as the Launch Team prepares for the 29 April 2011 launch of Endeavour. You can find out more about the 45th Space Wing at their Facebook page. Wednesday was a busy day. The day started with issuing the Ice Team Forecast update and the L-2 Day launch forecast. Then I briefed weather at the L-2 day Shuttle Mission Management Team (MMT) meeting. Following the MMT meeting, it was off to the press site for a press conference with Mike Moses, the Launch Integration Manager, and Mike Leinbach, the Launch Director. I am always surprised I get invited to this press briefing, but since weather causes approximately 50% of launch scrubs, NASA public affairs asks me to brief the weather and be available for any questions. After the press briefing Wednesday, I saw this fire at Kennedy Space Center about 3 nautical miles from the Shuttle launch pad. When fires like this occur, the 45th Weather Squadron gets calls from Kennedy Space Center personnel for current and forecast weather information, particularly wind speed and direction, so actions can be taken to protect personnel and resources. Also, cumulus clouds formed above the fire which had our launch team thinking about our smoke plume rule in the lightning launch commit criteria. On launch day, if a cumulus cloud formed from a fire and moved into the path of the launch, weather would be RED for the Smoke Plume rule until 60 minutes after the cloud detached from the smoke plume. As you can imagine, sometimes it can be difficult to tell when a cumulus cloud detaches from the smoke plume, and unless we are clearly convinced a lightning launch commit criteria (PDF) is not violated, weather is RED for launch. Thursday, we meet with the Solid Rocket Booster (SRB) recovery team to give them a weather outlook before they depart. It takes the ships, the Freedom Star and Liberty Star, about 24 hours to reach the SRB Recovery area. Weather is going to be a bit rough for their trip Thursday as a cold front moves through, but nothing that would prevent them from getting to the area on time. On launch day, winds will be from the north in the SRB recovery area, and seas 5 to 6 feet—not a smooth day, but well within their weather constraints. WASHINGTON (NNS) -- The vice chief of naval operations (VCNO) addressed defense industry business leaders at the Spring 2011 Navy Now Forum held at the Ronald Reagan Building in Washington, D.C., April 27. The event, sponsored by the Association of the United States Navy (AUSN), gave senior Navy officials and business leaders the opportunity to enhance and develop relationships that will strengthen current and future functions of the Navy. VCNO Adm. Jonathan W. Greenert touched on several topics including recent operations in Libya and Japan, and on-going initiatives to train and equip Sailors while taking into account the existing economic and wartime reality. "I want to thank AUSN for hosting their third Navy Now forum," said Greenert. "Venues such as this create opportunities for the Navy and industry partners to learn from each other, strengthen relationships, and provide needed feedback and candor." During a question and answer portion of the forum, Greenert communicated further strategies that will preserve the cohesion of commands and take Navy forces beyond their present capabilities. "An atmosphere of clarity, mutual understanding and increased transparency will be needed to effectively deal with the increasingly inevitable budget challenge while building the Navy of the future," said Greenert. Executive Director of AUSN Rear Adm. Casey Coane said that from an industry standpoint, concern has been placed on what the Navy would like from companies and how they will work together to effectively execute all aspects of readiness. "This is a partnership and collaboration built from communication," said Coane. "Because we [AUSN] are an association not part of the defense department, we can add a point-of-view from outside Washington and the Pentagon. The more opportunities Sailors have to understand issues that decide what happens in the Navy, the more aware they become." This was the third Navy Now forum held by AUSN. The association has been active since 1957, and their mission is to advance interests of all members of the Navy community by supporting personal and professional needs of Sailors. Launch Preparations on Track; Status Briefing at 10 a.m.
Technicians at NASA Kennedy Space Center's Launch Pad 39A continue preparing space shuttle Endeavour for launch. Final preparations for the space shuttle main engines are progressing well with pneumatic and gaseous nitrogen purge check outs complete The pad's sound suppression tank has been filled with water. A brush fire was reported southeast of the turn basin, approximately three miles from the launch pad, yesterday shortly after noon. Fish and Wildlife officials reported that the brush fire is now fully contained, but still smoldering and smoking. There were no reports of personnel injuries and no impact to operations at the launch pad. STS-134 Commander Mark Kelly and his crew awoke at 6 a.m. EDT to continue their prelaunch activities. A Countdown Status Briefing at 10 a.m., live on NASA TV, to provide an update on the countdown and weather forecast. This waxing gibbous moon with 83 percent of the disk illuminated was photographed by retired AT&T engineer and amateur photographer Ralph H. Bernstein on April 14, 2011, in Monmouth County, New Jersey. 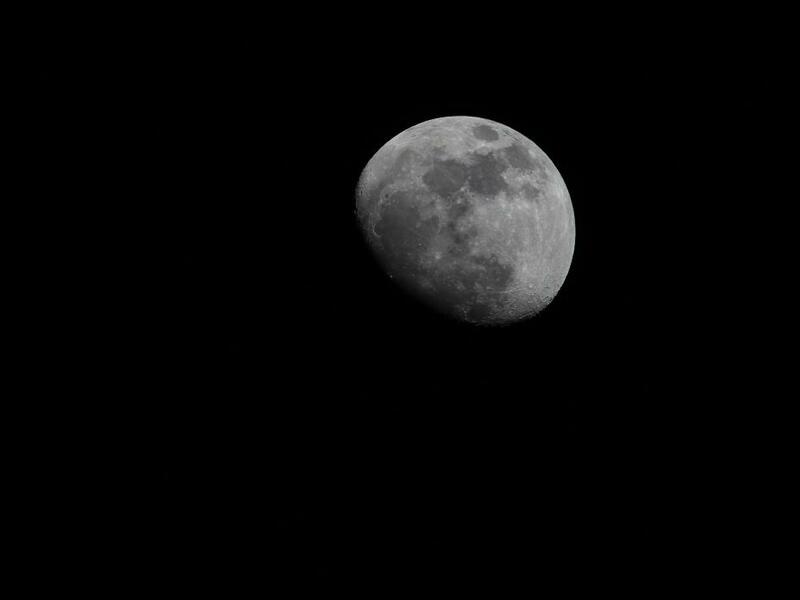 A gibbous moon is but one of the moon's phases and occurs when the size of the illuminated portion is greater than half, but not yet a full moon. A waxing gibbous moon is the period between a first quarter moon and a full moon, when the illuminated region of the moon is increasing each day. Garth Jensen is currently the Director of Innovation at the Carderock Division, Naval Surface Warfare Center. Garth was previously an Office of Naval Research Science Advisor at the Pentagon. mmowgli is both the coolest project I have ever worked on and the hardest to describe in words, but here it goes: mmowgli is an experiment in generating collective intelligence and a pilot project being developed by the Office of Naval Research. Beyond that, mmowgli is ultimately the answer to a few questions, ones that haunted me every day during my tour as a Science Advisor at the Pentagon: why did I experience such a disconnect between technologists and “innovators,” on one hand, and warfighters and end users on the other? Why didn’t “game changing innovations” generate more enthusiasm from those who were “in the game?” And what was I doing to make it better? As my Pentagon tour drew to a close, these questions nagged at me and morphed into a thousand others: What if we took a heavy, formal approach, and made it lighter and more of a continuous conversation instead of a blueprint? What if you didn’t need a fully formed idea to make a contribution? What if ideas, even half-formed ones, could meet up in space and recombine with other ideas to form new ones? What if this conversation engaged more stakeholders and tolerated more excursions? Finally, what if this conversation became so rich and compelling that, instead of truncating the debate, it actually enlarged the universe of possibilities? A pivotal moment occurred as these questions were swirling around in my head. I attended a speech by Marina Gorbis, Executive Director of The Institute for the Future. What she presented became the kernel of an idea that grew into mmowgli. Marina showed me a world where Alternate Reality Games were being used to engage the imaginations of thousands players to harness fresh insights; where Massive Multiplayer Forecasting Games were redefining how we look at technology horizons; where companies like IBM were using Innovation Jams to create value across their entire workforce and with their stakeholders; and where the notion of innovation as a social phenomenon was moving to the fore. From there, it was a short leap for me to connect the dots between Marina’s world and my own struggles with innovation — mmowgli was born. In reality, it wasn’t quite that easy. We’ve had to persist through all of the typical hurdles associated with any first of its kind innovation. But, now that we’re almost there, we’ve got a really engaging game in store, and I’m excited about the launch. mmowgli goes live in just a few weeks. You can register for the game at http://mmowgli.nps.edu/mmowgli. I’m looking forward to meeting you online during the game. WASHINGTON -- The Multilateral Coordination Board (MCB) for the International Space Station partner agencies met Wednesday, April 27, to discuss increased efforts to use the station as a test-bed for exploration. The MCB also congratulated the European Space Agency (ESA) on its recent decision to continue station operations to at least 2020. The MCB is working diligently to extend the benefits to future exploration beyond low-Earth orbit through enhanced station research, technology development and other opportunities. Other topics on the agenda included a report on efforts to create international standards for docking and berthing; rendezvous and proximity operations; interfaces for replaceable items and payloads; and standardization of command protocols for spacecraft. To view the International Docking Systems Standard, visit http://www.internationaldockingstandard.com. -- The Alpha Magnetic Spectrometer-2, which will fly aboard STS-134, scheduled to launch on April 29. The experiment is a cosmic ray detector that will search for dark matter and antimatter, components critical to understanding the origin and structure of our universe. -- The Canadian Space Agency (CSA) continues its life science research program on mitigating health risks associated with spaceflight. These health experiments and activities will monitor crew health and deliver health care on space missions. -- ESA began the GeoFlow experiment in the Fluid Science Laboratory payload. This experiment will take advantage of the microgravity environment on the station in combination with electrical fields, thermal gradients and rotation to simulate many parameters of geo-physical flows under the Earth's crust. Results will help scientists understand thermal convection in planets and the outer shells of celestial bodies. It also will verify numerical simulations of fluid dynamics of liquid core planets with real experimental data. -- Roscosmos, the Russian Federal Space Agency, continues experimental programs aimed at human adaptation to future long- term expeditions. Dedicated medical experiments study the effects of flight conditions on the cardiovascular system, respiratory system and bones. Other research includes planting wheat and vegetables them performing genetic, microbiological and biochemical tests on the plants. -- Japan has found several new X-ray celestial bodies by the Monitor of All-sky X-ray Image instrument of "Kibo" and recently reported the new gamma rays outburst of the Whale or Cetus. This discovery will contribute to understanding the origin and the evolution of the universe. Japan has also implemented a new investigation on cucumber seedlings to study how plants sense gravity as an environmental signal and use it for governing their structural development and growth orientation. The governments of Japan and the Russian Federation already have approved continued station operations beyond 2016. NASA received approval in the NASA Authorization Act of 2010. CSA is working with its government to reach consensus about the continuation of the station. The MCB includes senior representatives from NASA, CSA, ESA, Roscosmos and the Japanese Ministry of Education, Culture, Sports, Science and Technology. The MCB meets periodically to ensure coordination of station operations and activities among the partners. For more information about the Roscosmos, visit http://www.federalspace.ru. 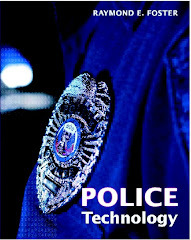 HAMPTON, Va. -- NASA selected InuTeq, LLC in Greenbelt, Md., for a follow-on contract award for support services for the agency's Office of the Chief Engineer's Academy of Program/Project and Engineering Leadership (APPEL). InuTeq, LLC is a Small Business Administration 8(a)-certified small disadvantaged business. The company will provide services for developing NASA's technical workforce in systems engineering, engineering, and program and project management. InuTeq also will provide curriculum development and knowledge sharing services; support for international collaboration; implementation of e-Learning into the APPEL program; and publish the Academy Sharing Knowledge Magazine. The contract period of performance is five years, including options, with a maximum total value of $35,884,987. For more information about NASA's APPEL program, visit http://www.nasa.gov/offices/oce/appel/home/index.html. STS-134 Commander Mark Kelly, center, along with his crew speaks to the media following their arrival to Kennedy Space Center, Tuesday, April 26, 2011, in Cape Canaveral, Fla. From left are Mission Specialists Greg Chamitoff, Andrew Feustel, Kelly, Pilot Greg H. Johnson, Mission Specialist Mike Fincke and European Space Agency astronaut Roberto Vittori. 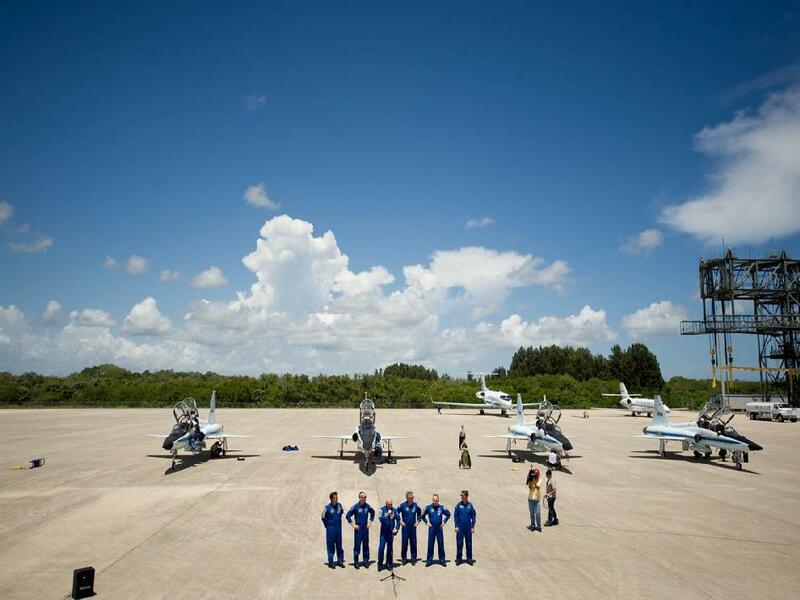 The six astronauts for space shuttle Endeavour's STS-134 mission to the International Space Station arrived at Kennedy's Shuttle Landing Facility (SLF) in T-38 jets early Tuesday afternoon. So, why do you change your oil every 3,000 miles? This blog post was shared by the Reliability Information Analysis Center (RIAC). Because that’s what it says in the owner’s manual. But, how much could you save if you waited until 6,000 miles [provided of course you didn’t damage your engine]? It’s questions like this that RIAC engineers, scientists and subject matter experts (SMEs) are dealing with every day on weapons platforms from tanks, to planes, to helicopters, and even submarines. RIAC engineers not only study the maintenance requirements in the owner’s manuals, but they also spend hours researching failure rates and explore various data sets related to maintenance events. This is a highly structured and very effective process called Reliability Centered Maintenance. A Reliability Centered Maintenance analysis starts with detailed systems drawings. From the drawings, every component is analyzed for ways that it could possibly fail and then analyzed to see how severe that failure could be to the system. Next, engineers review the actual field failure data or use one of the databases on failures developed over the past 45 years at RIAC. Then, RIAC engineers look at the maintenance currently performed and analyze whether or not certain activities could be eliminated or reduced. Any activity that’s been identified for elimination or reduction must be explored further to ensure the overall system remains safe and reliable. If the overall system remains safe, there’s an opportunity for cost savings to come into play. For example, RIAC engineers are currently analyzing the entire fleet of Mine Resistant Ambush Protected (MRAP) vehicles deployed in Iraq and Afghanistan. These massive vehicles are designed to withstand road-side bombs (Improvised Explosive Devices, or IEDs). To date, RIAC SMEs have completed analyzing nearly 50 percent of the MRAP vehicle systems. Along the way, they’ve discovered various cost avoidances that over a 10 year period would save more than $6.5 billion! This savings includes nearly 175 million fewer man-hours to maintain the MRAPs. By freeing up 175 million maintenance hours, our men and women in uniform are able to focus their attention on other mission critical tasks, helping to get the job done sooner, while also saving on excessive maintenance costs. The Reliability Information Analysis Center (RIAC) is one of ten Information Analysis Centers (IACs) established by DOD and managed by the Defense Technical Information Center (DTIC). RIAC is the DOD Center of Excellence responsible for acquiring, archiving, analyzing, synthesizing, and disseminating scientific and technical information related to Reliability, Maintainability, Quality, Supportability, and Interoperability (RMQSI). CAPE CANAVERAL, Fla. -- NASA will host a media briefing at 11 a.m. EDT Thursday, April 28, at the Kennedy Space Center in Florida to highlight the four companies selected for the second round of the agency's Commercial Crew Development (CCDev2) efforts. The briefing is part of the countdown activities for the final scheduled launch of space shuttle Endeavour's STS-134 mission to the International Space Station. Lift off is scheduled for 3:47 p.m. on Friday, April 29. -- Rob Meyerson, program manager, Blue Origin, Kent, Wash.
-- Mark Sirangelo, program manager, Sierra Nevada, Louisville, Colo.
-- Garrett Reisman, program manager, SpaceX, Hawthorne, Calif.
On April 18, NASA awarded $269.3 million to these companies to accelerate the availability of U.S. commercial crew transportation capabilities and reduce the gap in American human spaceflight capability. Through this activity, NASA also may be able to spur economic growth as potential new space markets are created. Once developed, crew transportation capabilities could become available to commercial and government customers. The briefing will be broadcast live on NASA Television and streamed at http://www.nasa.gov/ntv. The NASA News Twitter feed will be updated throughout the shuttle launch countdown, mission and landing. To follow, visit http://www.twitter.com/nasa. Kennedy manages the agency's Commercial Crew Development efforts for the NASA's Exploration Systems Mission Directorate. See http://www.nasa.gov/exploration. The Space Shuttle Program Mission Management Team voted unanimously to proceed toward Endeavour's scheduled liftoff at 3:47 p.m. EDT Friday. Mike Moses, chair of the Prelaunch Mission Management team, reported that it was a very short meeting and everything is in great shape and ready to go. "We're ready to go and we're looking forward to Friday's launch," Moses said. Mike Leinbach, shuttle launch director said, "The countdown for Endeavour's final mission is going extremely well. The launch pad right now is cleared in preparation for loading the cryogenics fuels for the fuel cell system." "We're not working any significant issues at all … the teams are upbeat about the mission and the President's visit," said Leinbach. "We're ready to go and right now looking forward to an on-time launch Friday afternoon." The forecast calls for an 80 percent chance of favorable conditions at launch time, according to Shuttle Weather Officer Kathy Winters. The only concern for launch may be the crosswinds at the Shuttle Landing Facility. The Rotating Service Structure (RSS) is scheduled to be retracted at 7 p.m. tomorrow night but may be delayed because of possible storm activity over the center. Teams will have about a four hour leeway for the storms to clear out to rollback the RSS with no affect on Friday morning's external tank fueling, now planned for 6:22 a.m.
Endeavour is headed to the International Space Station on a 14-day mission to deliver the Express Logistics Carrier-3, Alpha Magnetic Spectrometer-2 (AMS), a high-pressure gas tank and additional spare parts for the Dextre robotic helper. I took a picture of this cumulus cloud from the press site on Tuesday morning after the countdown status briefing. Clouds like this formed along the sea breeze due to our moist atmosphere. Although these clouds are normally harmless, on launch day the 45th Weather Squadron Launch Weather Team actually pays close attention to the height of any cumulus clouds like these that develop within 10 nautical miles of the launch pad. If a cumulus cloud gets tall enough, it may violate our cumulus cloud rule, one of the many rules in our Launch Commit Criteria. The purpose of the cumulus cloud rule is to prevent the threat of triggering a lightning strike when launching into elevated electric fields in the atmosphere. Fortunately, we do not expect significant cumulus clouds to be in the area this Friday. Did you know a rocket can trigger a lightning strike when there is no natural lightning occurring? The Lightning Launch Commit Criteria protect the Shuttle and other rockets from the threat of triggered lightning. See how scientists at the University of Florida study triggered lightning by launching rockets into elevated electrical fields. Last Chance to Get 2011 Army Earth Day Posters! The Military Protects Animals, Too!